Bigleaf Magnolias have the largest simple leaf with a single flower of any native plant in North America. Bigleaf Magnolia are native the southeastern US and eastern Mexico. There a three subspecies mainly being devided in the regions they are found. 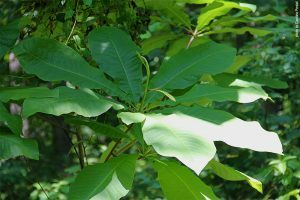 In Georgia Magnolia macrophylla is growing to a tree of up to 20 meters hight (65 feet) with leaves up to 90 cm long (35.5 inch). These trees are found in humid wooden areas, often in valleys or areas where they can access lots of sunshine with their leaves. This plant is listed as threatened in North Carolina and endangered in Arkansaw and Ohio. Bigleaf Magnolia trees are known for low population density therefore legal and illegal collection of plant parts should be avoided. The fruit is eaten by wildlife but due to it’s scarceness it is not known for being significant for any animal’s diet. 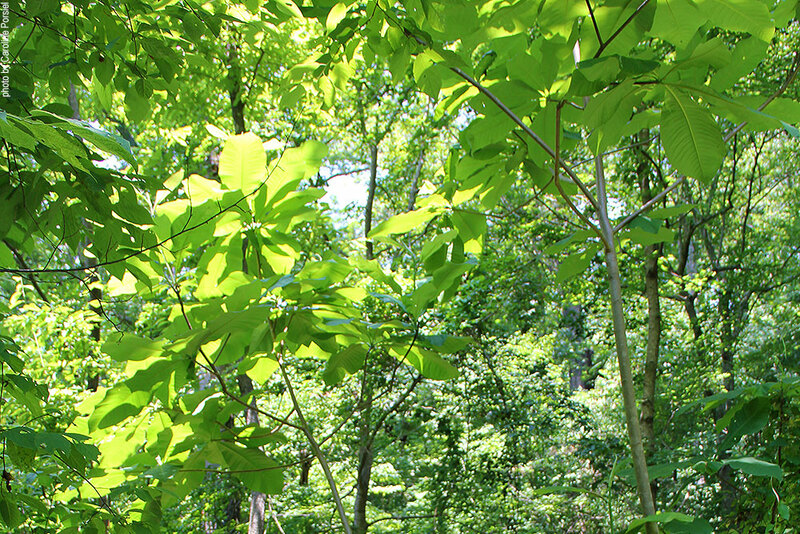 There are several Bigleaf Magnolia populations along the Chattahoochee hiking trails as well as in Roswell’s Vickery Creek area.